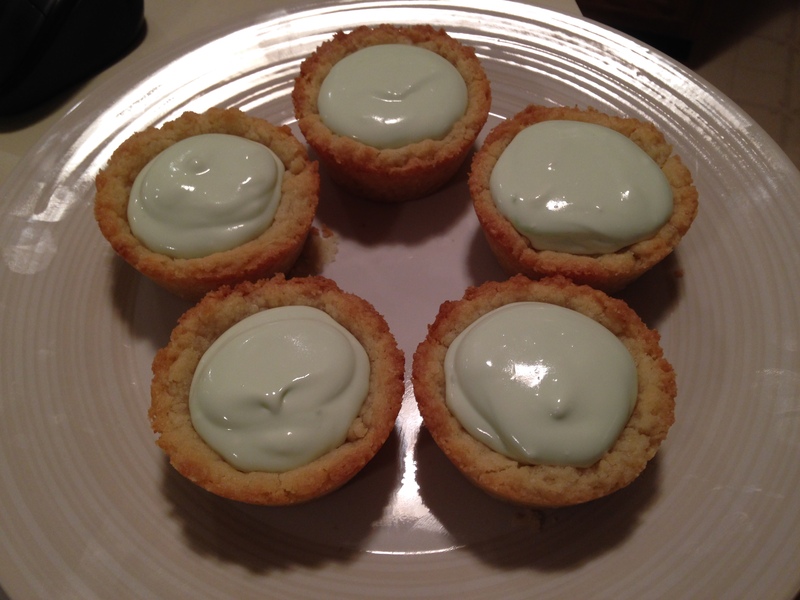 These key lime pies are very easy to make, look amazing, and taste delicious. I got the idea from Harvest Moon, a New Beginning, which is a 3DS game I’ve been playing a lot recently. In the game you can make lots of food items in your kitchen, and one of them is a pie titled “herb pie,” but come on, who are they kidding? 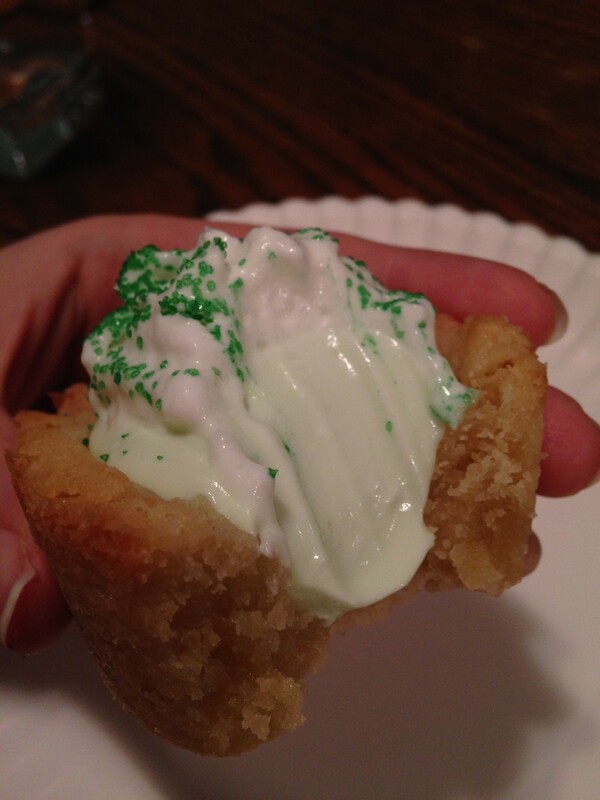 It’s clearly key lime. 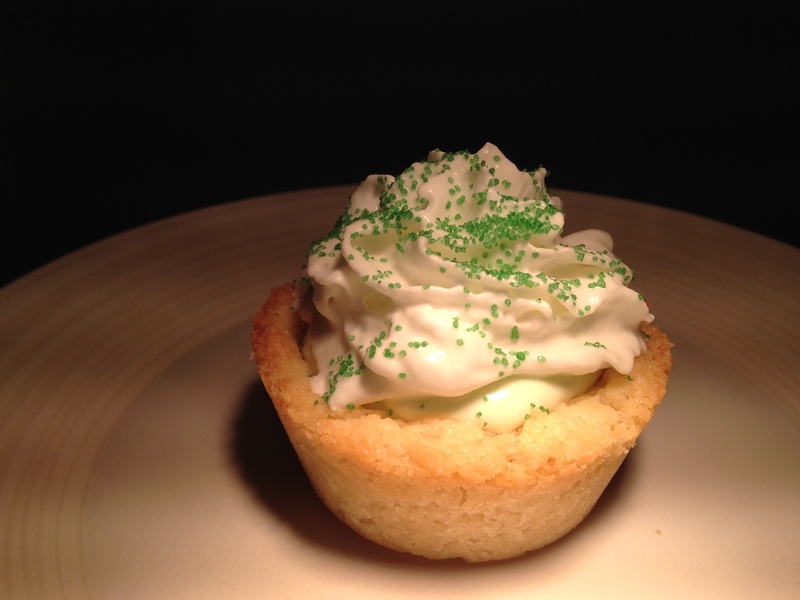 Seriously, Google image search “Herb Pie” and “Key Lime Pie” and you’ll see what I’m talking about. 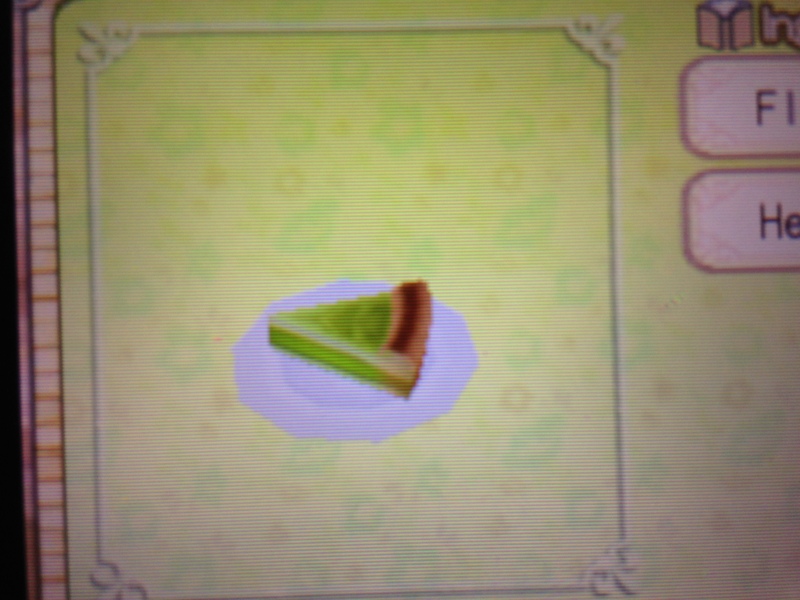 I’ve decided it must be a translation error (the original game is in Japanese), or someone wanted to put key lime pies in the game so badly (even though there are no limes in the game) that they made this pie. And I will definitely be playing Story of Seasons later this year! When I say played through, I mean at least 100 hours. Friends of Mineral town, Harvest Moon DS, and a New Beginning I definitely clocked at least 300 hours each. … … …sometimes, I look back and wonder how I possibly had time to play all these games. I wholeheartedly believe the Harvest Moon series does not get as much love as it should. I mean come on, everyone has heard of the very popular FarmVille, which had millions of players and the world talking. Harvest moon is 1000x better than Farmville, and so many people don’t even know about it. It’s an awesome game – and not something you’ll beat in a week. In fact, I just “beat” the game a few weeks ago, and I purchased the game in 2012. If you’re interested at all, I highly recommend the new Story of Seasons game, which is the next installment of the Harvest Moon series. It’s said to be everything “A New Beginning” was and more. I wanted to post these in time for St. Patrick’s day, but oh well. They also make a good Easter treat! Traditional Key Lime Pies have a graham cracker crust, but I am in love with (and biased toward) my own crust recipe, so I’m using that one. It’s very buttery and delicious! You can also buy pre-made crusts or dough if you’re feeling lazy. Preheat your oven to 425 degrees. Or wait until you finish making the dough, then preheat it. Because this will probably take you a little while. Mix together the flour and sugar. 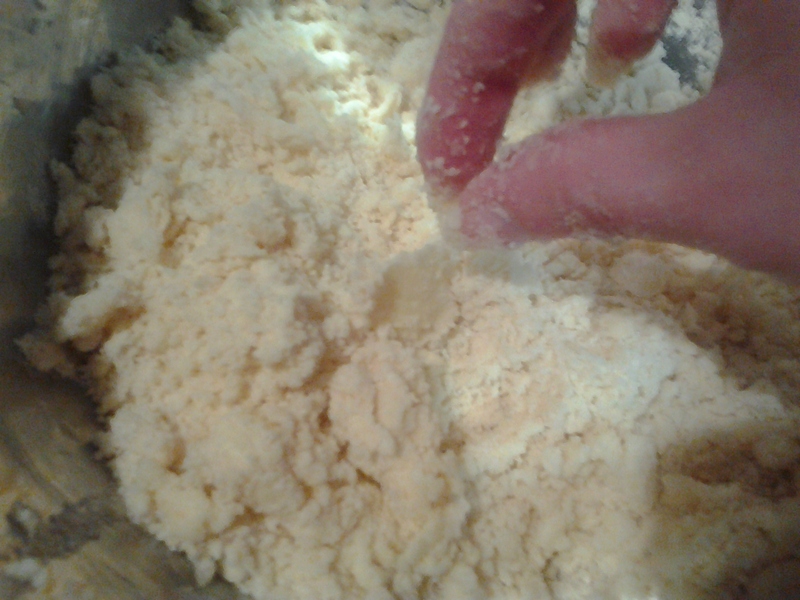 Cut the butter into the flour mixture with a pastry blender, until mixture is crumbly (butter chunks should be pea-sized or smaller). 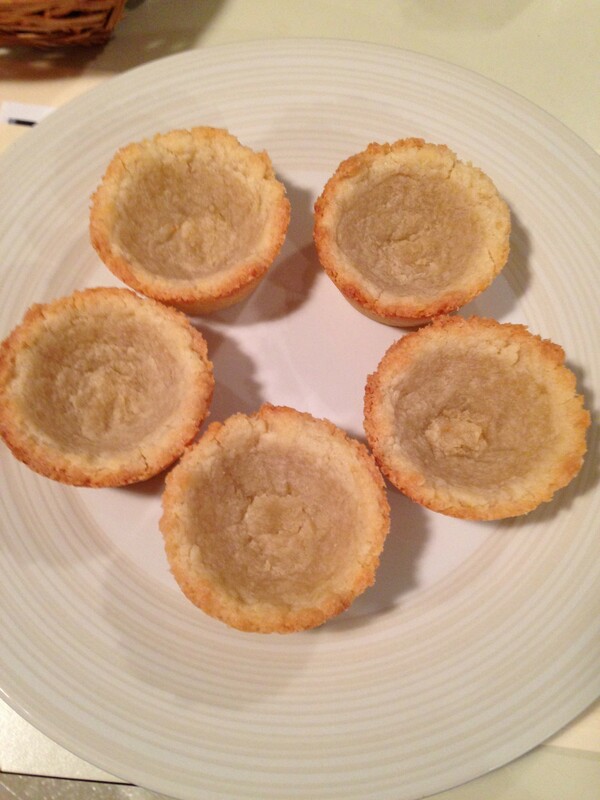 If you don’t have a pastry blender, just kinda mash it together with a fork until the chunks of butter aren’t too big. Slowly add cold water, 1 Tbsp. at a time, just until dough holds together when pinched. You might not even need to add any water, and if you don’t that’s fine – it really depends how you measured your flour. Stop adding water as soon as the dough can hold together when pinched. 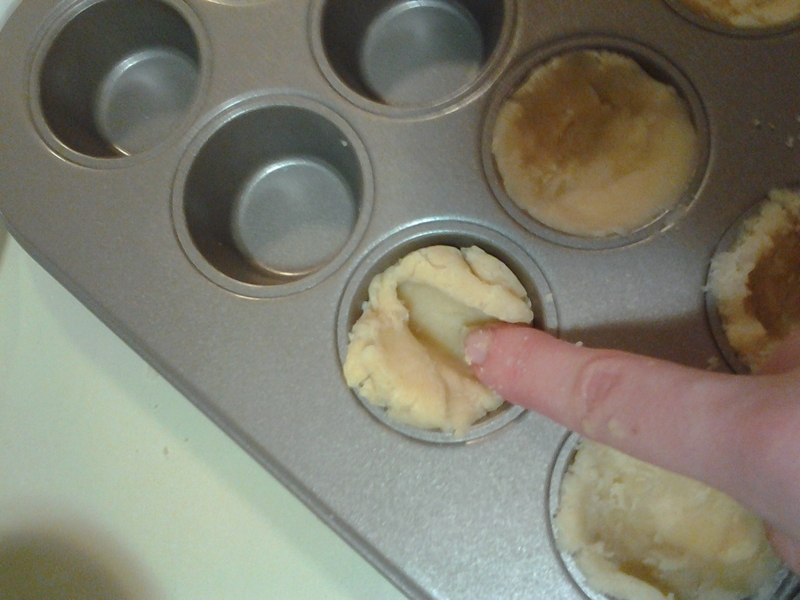 Next, tear off pieces of dough and press it into the sides of your muffin tin. I do this by pressing a finger in the center of the dough, and then pushing the dough up the sides of the pan (this part takes the longest and I’ve really grown to hate doing it). Repeat until all the dough is used up. I try to make the crusts as thin as possible so there is more room for filling. Bake crusts by themselves for about 10 minutes, or just until they start to look brown. Because these crusts are “meant” to be baked with something in them, they will fall a little but when they are baked. Just use a metal spoon to push the crusts back into place when you take them out of the oven (before they cool). Let them cool almost completely before you take them out of the pan, otherwise they fall apart very easily. DO NOT bake the filling with the crusts, it makes the filling taste nasty. 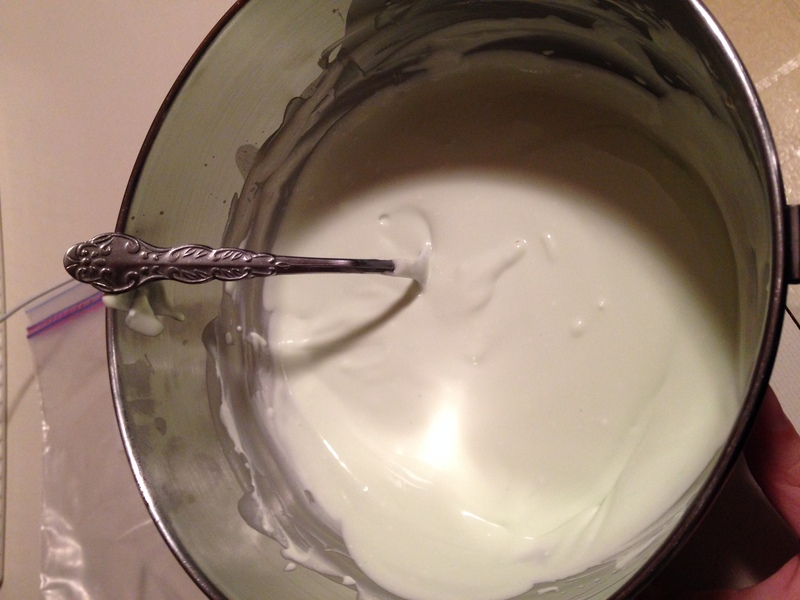 Pour the sweetened condensed milk into a bowl, and then add your 1/2 cup key lime juice. You can add a little more or a little less for taste, but don’t add too much more because it will make your filling to watery. Then mix in the whipped topping. 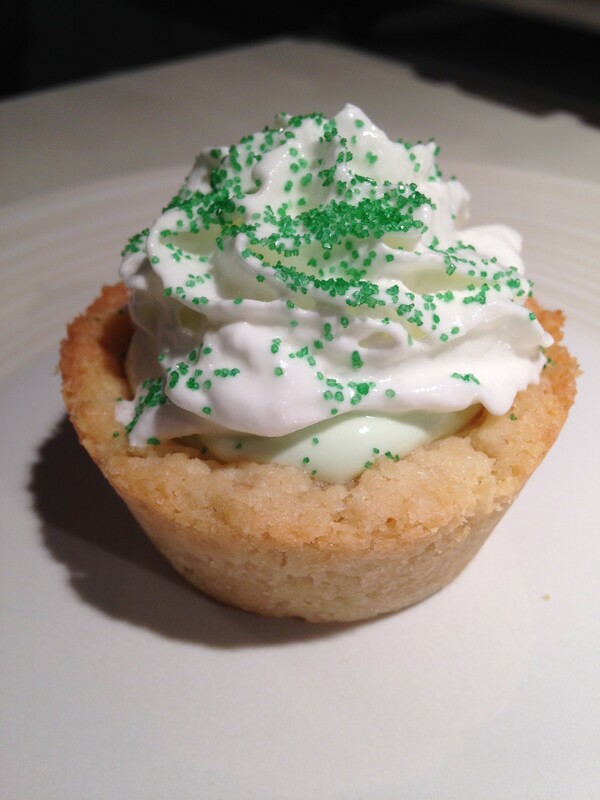 You don’t have to use whipped topping in the filling, but I think it makes it taste nice and creamy. After everything is combined, add some green food coloring. I like my key limes pies only subtly green, so I only added a little (even though the Harvest Moon pie is pretty damn green, my apologies). Next, plop your filling by the spoonful into your pie crusts. After that, you can add the whipped cream and sprinkles to the tops of your pies (because it looks pretty and it’s damn tasty!). 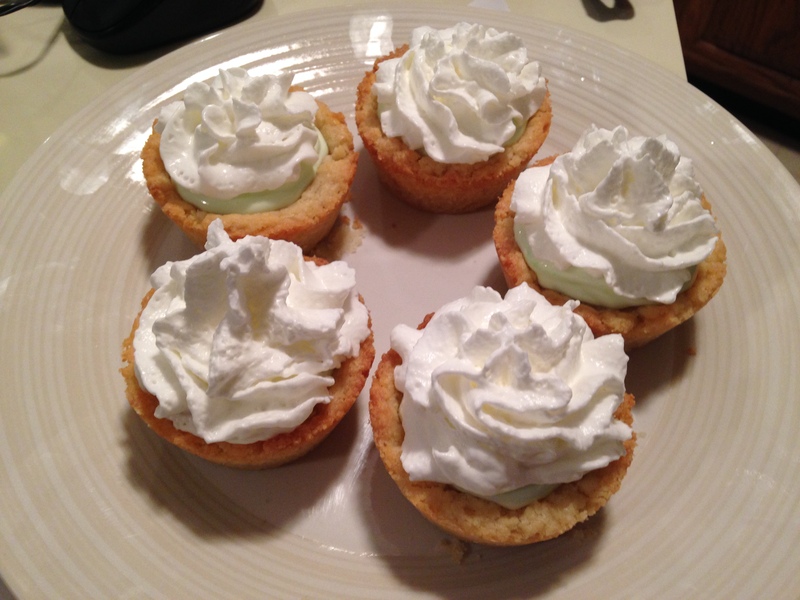 If you are adding whipped cream the pies must be served immediately, as the whipped cream will “deflate” if stored. You can also use sprinkles without the whipped cream. And you’re done! 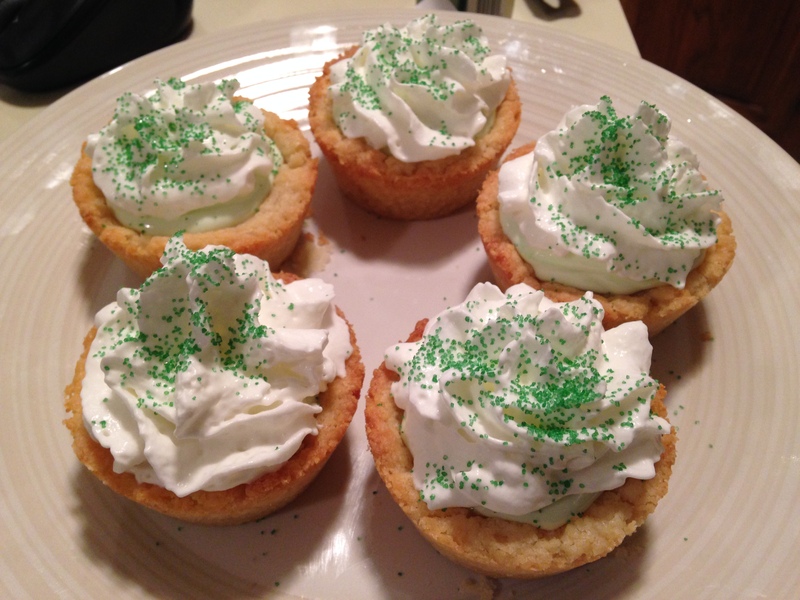 I hope you enjoy them as much as I did – I even enjoyed eating the filling by itself. If you’ve never played anything in the Harvest Moon series, I highly recommend it!